For the cookie base I used my Grandmothers peanut butter cookie recipe then I added in about ½ cup of salted Cocktail Peanuts and ½ cup of Candy Corn. 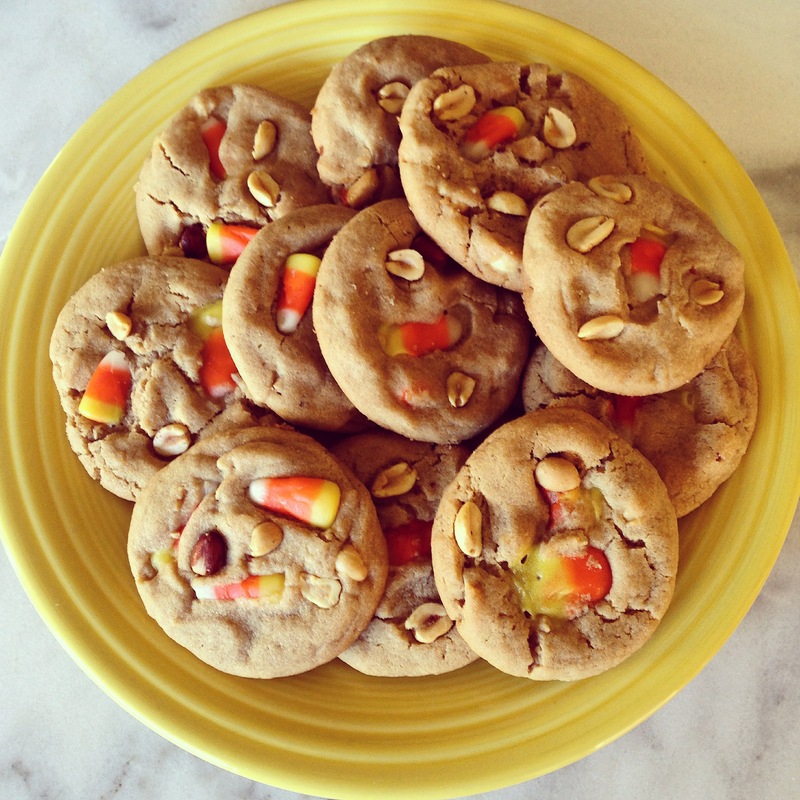 I add half the candy corn to the cookie dough and then the rest to the top of the cookie after they have baked about half way. Salty & Sweet these Cookies just can’t be Beat! I hope everyone has a Safe and Happy Halloween!!! Sift together the flour, baking soda, and salt. In another bowl, cream together sugars, and shortening. Once creamed, add in the egg, peanut butter, water and vanilla and mix until well combined. Add in the dry ingredients and mix well. 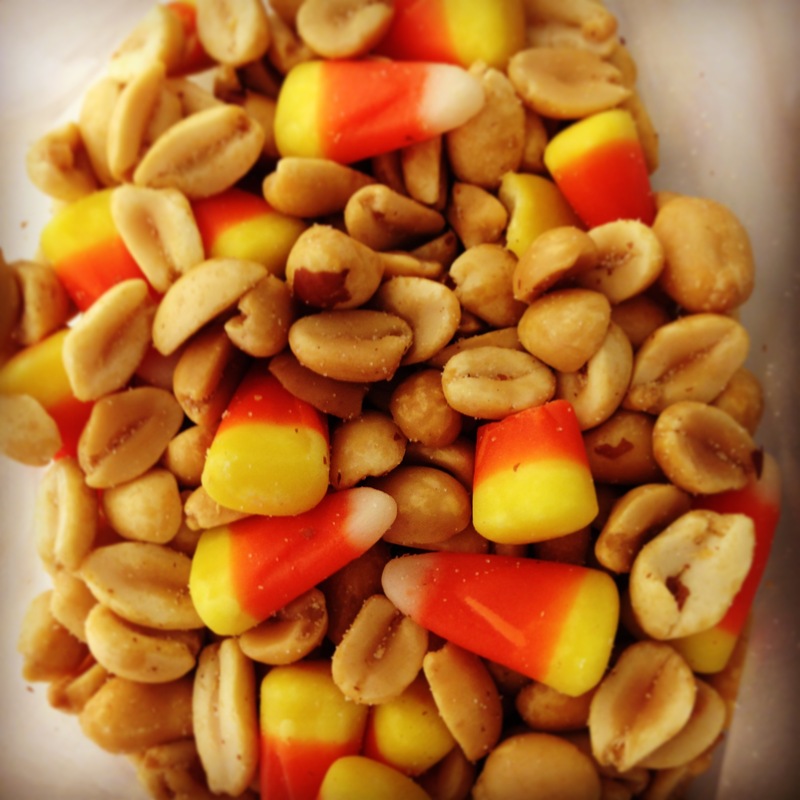 Fold in the Peanuts and half the candy corn. Roll the cookie dough into small balls then press flat with your fingers. Place the cookies on a sheet pan lined with parchment paper. Bake for 6 minutes, then carefully place the remaining candy corn on top of the cookies and bake for another 6-9 minutes.